When MarathonMan from Calgary came to visit, GRock, L, him and I all went for dinner at Hee Rae Dung, which is a Korean-style Chinese restaurant. This means, no Korean BBQ, no fear of smelling like it after! 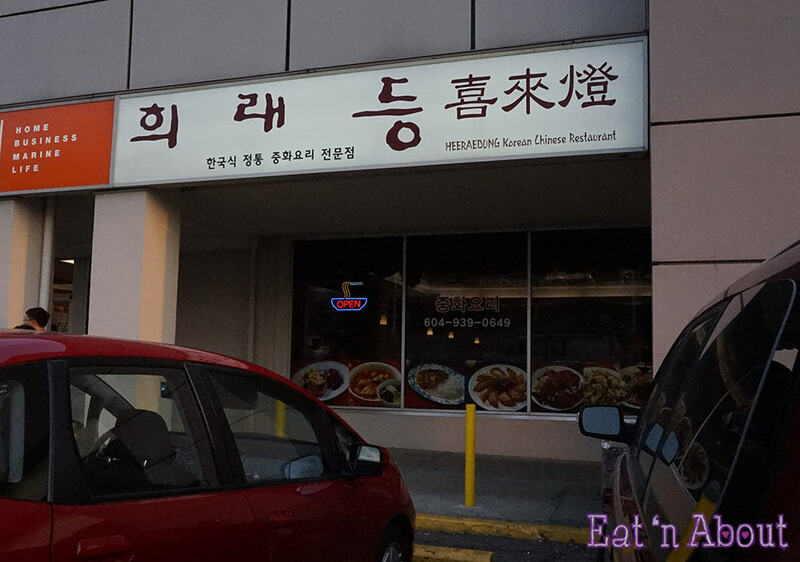 This is a restaurant that MarathonMan’s family, who’s Korean, frequent (he does not speak a word of Korean by the way…just thought I’ll add that in for no reason at all). And apparently they really like it. I found out that they have the Korean fried chicken here too! Which I’ve been meaning to try since my Korea trip with Fannypack last year. Plus they seem to have a formidable ja jang myun also, so I was uber excited to try this restaurant out. Hee Rae Dung is a very family-style restaurant as you can see. In fact, L commented how it’s like HK-Style cafe and she felt like she should order a Hk-style milk tea. It’s definitely popular and busy. We went at 7:30pm and it was still pretty packed, although we didn’t have to wait too long for a table for 5. 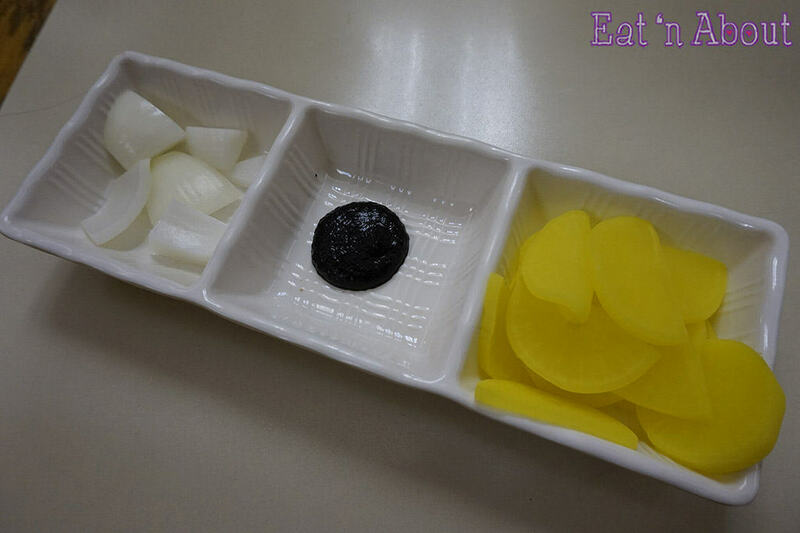 The only “banchan” served here is raw onions and pickled daikon. 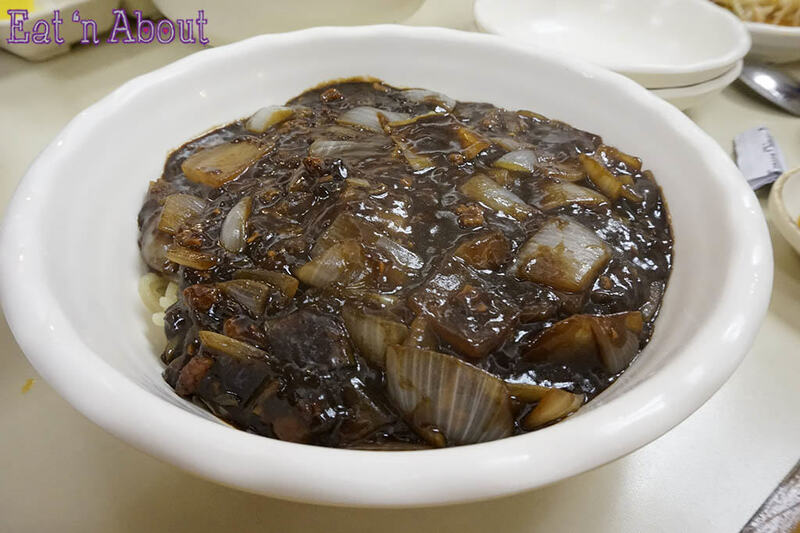 In the middle is a small portion of black bean sauce used for dipping the onion in. It helps to cut the bite raw onions have. We decided to order Conbo B ($28) which includes three popular items, in big portions too I should say. The items are Kan Poong Ki, Ja Jang Myun, and Jjam Bong. The Kan Poong Ki was my most anticipated item so I was glad it came first. 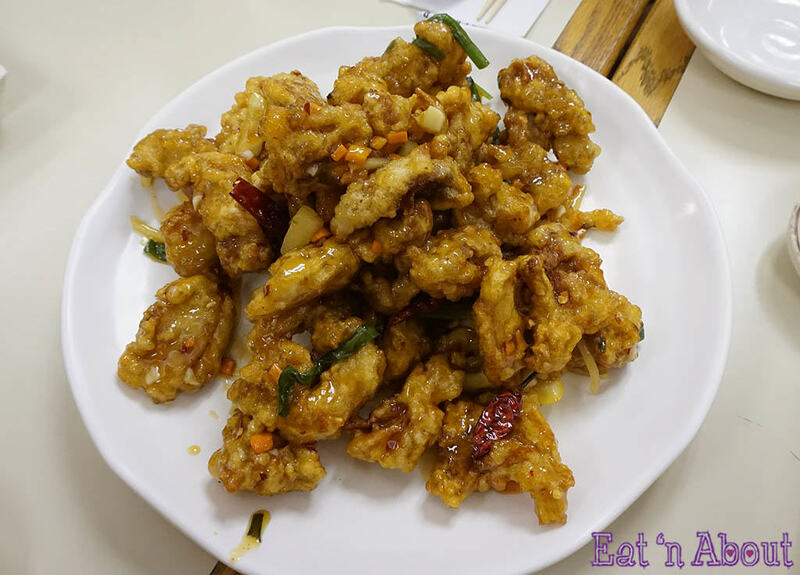 It’s bite-sized boneless pieces of deep-fried chicken tossed in a sweet, sourish, and spicy sauce. Then for a dipping sauce MarathonMan mixed up some white vinegar with soy sauce. I found some of the pieces fried a bit too hard. However none of the pieces were too dry and had a nice crunch. The sauce was more sourish than sweet, but definitely had a kick to it. This was a good introduction to Korean fried chicken for me. The Jjam Bong was really spicy. It was so spicy that I couldn’t really taste it. 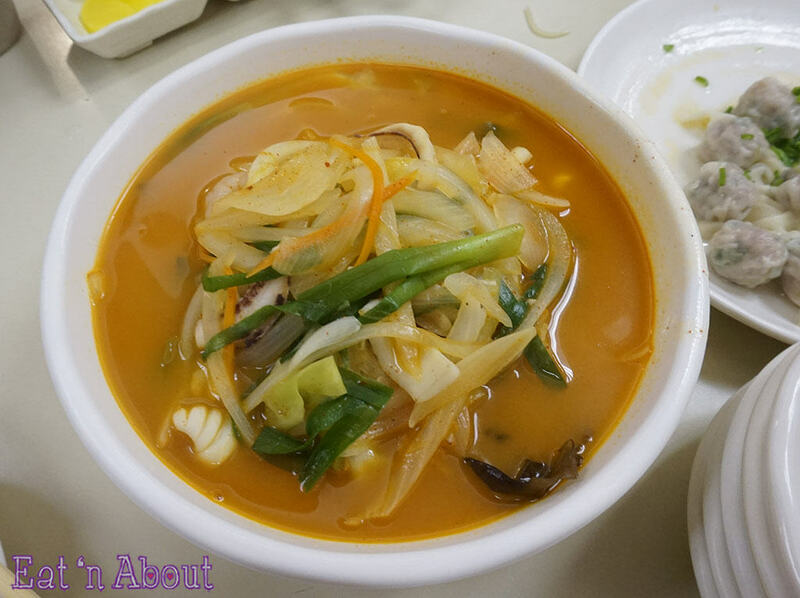 Here they use the same noodles as what’s in the ja jang myun. So chewy also. Lots of seafood and veggies in here. From what I gather from the other guys, this was yummy too. MarathonMan finished what we couldn’t. GRock really wanted tofu so we got an order of Ma Pa Tofu Rice i(~$10). My companions are also they type that needs rice with every meal. So I guess this was perfect. 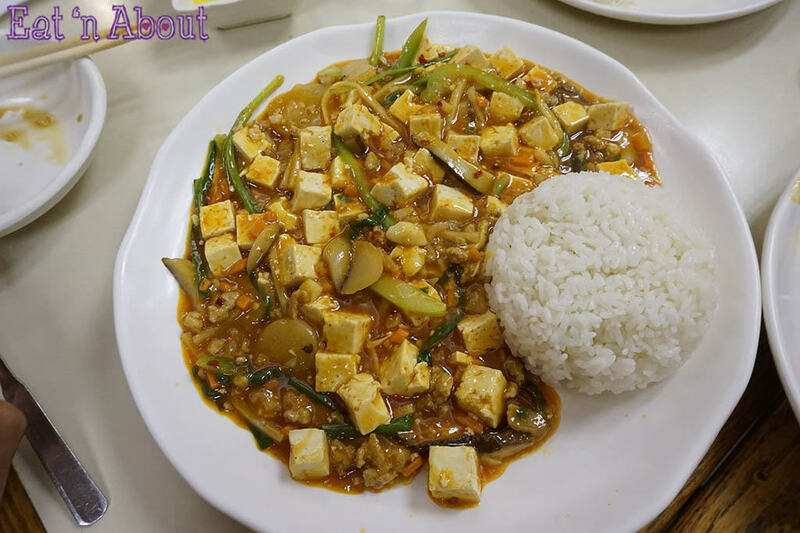 I didn’t try too much of this because I was never really a fan of any variation of ma po tofu. The little bit I tried though was spicy. It also seemed like there was lots of ingredients in the sauce too. 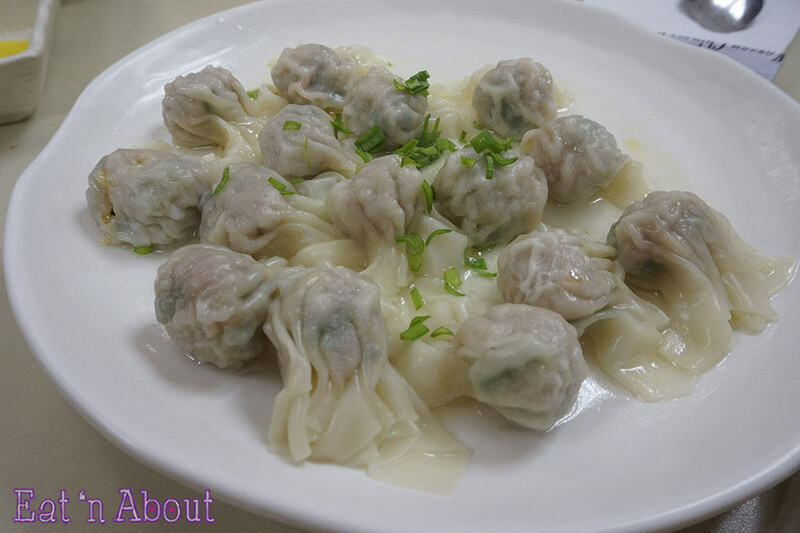 Lastly we also got an order of steam dumplings Mul Man Du (~$9 for 16). They were very chive-y and looked like wontons. The pork didn’t have much flavor though. In total it only cost each of us $10.15 per person so it was a hell of a deal. Food was yummy and portion sizes were decent. I would for sure come back for the ja jang myun and perhaps try the Tang Su Yuk (deep-fried pork strips) next time.